1. Heat 1 tbsp oil in a kadhai and add the peanuts and roast till crisp. 2. Add the green chillies, sesame seeds, mint leaves, curry leaves, asafoetida and fry till mint and curry leaves become crisp. 3. 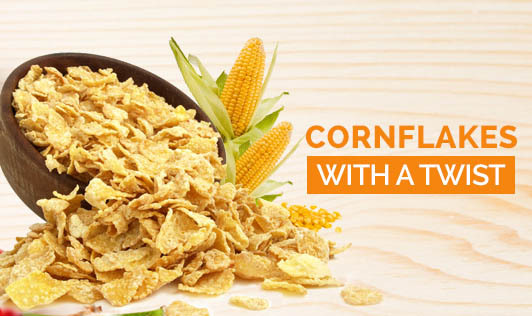 Add the cornflakes, salt, chilli powder, sugar powder, lemon zest and sev and mix well. 4. Take out from flame and add fried gram powder and mix well. 5. Store in an air tight container.